Geoffrey Webber began his musical education as a chorister at Salisbury Cathedral, and after being Music Scholar at The King’s School, Worcester he was elected to an Organ Scholarship at New College, Oxford, in 1977. At Oxford his academic tutors and organ teachers included Edward Higginbottom, John Caldwell, James Dalton, Nicholas Danby and Gillian Weir. After graduating with a First he remained in Oxford to pursue research into German church music of the seventeenth century, combining this with activities as an organist and conductor. He served as Acting Organist at both New College and Magdalen College, and was appointed as Assisting Organist at Magdalen College in 1982 and University Organist and Director of Music at the University Church in 1984. During this time he also became Director of the Edington Festival, a festival of music within the liturgy at Edington, Wiltshire. After completing his doctorate in 1989 he was appointed Precentor and Director of Music at Gonville & Caius College, Cambridge, and he now also serves as an Affiliated Lecturer in the Faculty of Music, dividing his time between conducting, organ playing, lecturing, teaching, editing and research projects. 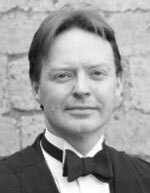 He is a committee member for the Royal College of Organists and the Church Music Society, and his publications include North German Church Music in the Age of Buxtehude (OUP, 1996), and as co-editor, the Cambridge Companion to the Organ (CUP, 1998), and The Restoration Anthem (CMS/OUP, 2003-).